Like many female users of Pinterest, I have a board just for DIY's and craft ideas. All of these pins are projects that I would love to do someday, but it's hard to find time to craft with my school schedule (and after school activities like being in a sorority, etc). But a couple of months ago I decided that it was finally time to tackle one of these projects! 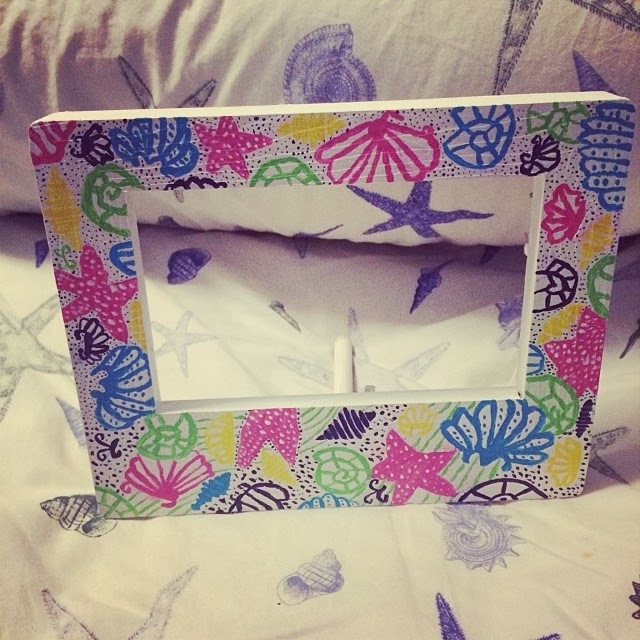 The one that I chose to do was a Lilly Pulitzer print inspired picture frame, which involved painting an interpretation of the popular Chiquita Bonita print. Despite the fact that my mom is an artist, I did not get her painting genes, and painting has never been something that has come easily to me. But this tutorial looked easy enough, and I decided that if I took my time and wasn't afraid of mistakes then I would attempt it! It took me over two months (and packing all the supplies midway through the bring them home in my suitcase), but I finally finished my frame last night! I am very pleased with how it came out!! And here is the link to the pin with the tutorial: I found the tutorial to be very easy to follow, even for someone like me who is definitely not an artist! Now that I have officially completed a Pinterest craft I am just dying to get started on another! I think that my next big craft project though will be to make a scrapbook for my freshman year of college (last year). Scrapbooking was a passion of mine in high school, and I definitely still have enough supplies to get back into it! Have any of you completed any Pinterest crafts lately? I miss scrapbooking, but man I am SO behind!!! I LOVE this so, so much! Look at you being so artistic and crafty! It looks so good :) I just did DIY sharpie mugs around Christmas time. It was a lot of fun! This turned out really well, love it!! it looks great, go you!! This is adorable! So impressed with the way it turned out. It is one of my goals to eventually paint a Lilly print. 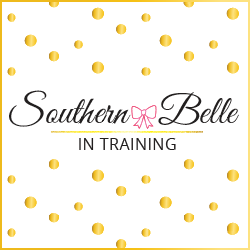 Thanks so much for reading Southern Belle in Training! Comments make my day- so feel free to share your thoughts on this post! I read each and every comment. If you have a question in regards to one of my posts, or just want to say hi, the best way to get ahold of me is by e-mailing me directly at: rainbowflash94@yahoo.com. I am better about responding to e-mails than blog comments sometimes! Product review/giveaway: A-List Greek Designs! Book review: "Whispers of Hope"
I am blessed beyond belief. UK Trip: Two days in Scotland. UK trip: Stonehenge, Bath, Bristol and Chester. UK trip 2013: London and Windsor. All content from Southern Belle in Training is copyright of the author. Please ask permission and give credit to feature anything from this blog. Website header by Gina Alyse Designs. © Southern Belle in Training | All rights reserved.